It is a busy time at the Pales with two major events done and dusted and three more in the coming weeks. 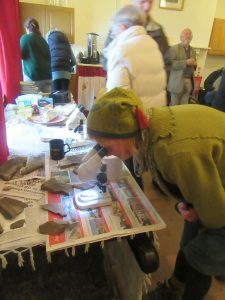 We have reports on the Annual Lecture and the Geology Day and news about our Sufi Day, Friends in Wales at the Pales and the Pales PMG Open Day. It was one of those glorious late September afternoons which we sometimes get if we’re lucky. My experience so far of visiting The Pales has been one of either being shrouded in mist, or in light rainfall, and each time very cold! I dressed accordingly and was very hot! We stood around outside for a while before the talk began and I stared in wonder at the beauty of all that I saw around me, and the clear views for miles across the land. It was the first ever annual lecture that The Pales had hosted, and was given by Dominic Walker. 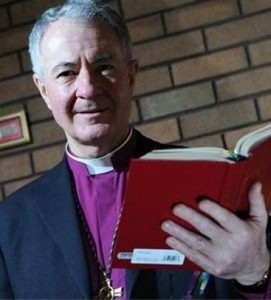 Dominic had been Anglican Bishop of Monmouth, and now retired, is honorary assistant bishop in the Diocese of Swansea and Brecon. There were more of us there than had been expected – I think about twenty, plus two small, elderly and mostly impeccably behaved dogs. The humans behaved well also. Dominic came to speak to us about silence and about prayer. I experienced him as a gifted speaker and an extremely good mimic of regional accents. He spoke with a gentle humour and a serious exploration into many aspects of prayer, taking us through various methods that might be helpful to each of us on our spiritual journey. I thoroughly enjoyed his talk but I did wonder how it might be going down with some Friends. 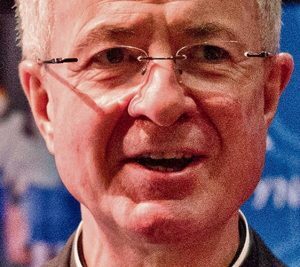 Being a conventional Anglican he spoke very freely of God, and probably wouldn’t have known that some Friends are sensitive about the languaging. But we’re a nice bunch! And willing I think, to accommodate other ways of expression. The afternoon ended with cups of tea and an array of home-made cakes that Friends are so generous at providing. 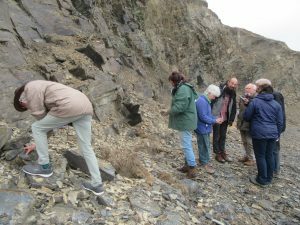 Despite rather dismal weather a lively group gathered at the Pales on 8 October to hear palaeontologist Joe Botting explain how one can read the ancient history of the planet through the study of its rocks, followed by the excitement of looking for fossils in the Pales quarry – an ‘SSSI’, (Site of Special Scientific Interest). The combination of Joe’s wide-reaching survey in the morning, with the practical exploration in the afternoon was received with much enthusiasm. Feed-back forms were full of favourable comment:‘ very satisfied’ ‘excellent’, ‘wonderful talk’. Joe’s friendly and accessible style of lecturing, inviting questions and comments, made unfamiliar concepts intelligible to a lay audience, illuminated by his own fascination with the subject. It was mind-boggling to think of this part of Wales millions of years ago, floating like scum on the top of a cauldron of seething treacle, many miles south of the equator.Rocks are the diaries of deep time. A layered rock face can reveal the waves and ripples of ancient seas. At the Pales quarry the layers of sedimentary rock are built up from particles of sand laid down on the ocean floor. The fragile stone splits easily (the material is used for road making); within the layers one can find the tiny fossils of graptolites and brachiopods, sea creatures from the time before anything lived on land – the periods labelled Ordovician and Silurian by geologists. It was an extra bonus that we were able to study these with the help of microscopes and the specialist knowledge of Lucy Botting. The fine layering of the rock suggests that in early times the area was deep, still water. Only much later, as the earth’s crust moved, the water disappeared and other more recent geological layers were deposited; at the Pales these have now weathered away, leaving the Silurian levels exposed beneath the smooth grass-covered hill of the Swydd.After outdoor exploration the weather drove us indoors to the cosy log fire of the schoolroom, where discussion ranged widely: over climate change, fracking, space exploration and our uncertain future. A most rewarding and enlightening day. There are still places available for this exciting exploration and experience of Universal Sufism at the Pales, including Spiritual Song and Movement with Karim Hadden. In this day we will come together to explore the theme of Universal Sufism drawing from the teachings of Hazrat Inayat Khan and others, including spiritual poets such as Rumi and Kabir. Opening with worship, we will enjoy fellowship: bring a picnic lunch and something to share for tea. This meeting is open to all Quakers who live in Wales or who attend a Welsh meeting. You are all very welcome to come to share worship and to feel refreshed spiritually in one of the ‘thin’ places of Wales. Gethin Evans will be presenting a talk entitled: “Our Quaker dead” Quakers in the First World War. An overview of the forgotten Quakers of the First World War, those killed or who died as a result of the war to end all wars. Please bring a contribution to a shared lunch. Refreshments will be provided. There have been a lot of events this year for the PMG to arrange and organise. Add to this all the work with the Planning Authorities and Architects. Plus supporting our Friend in Residence in the day-to-day work of keeping the Pales open and the grounds in good order. 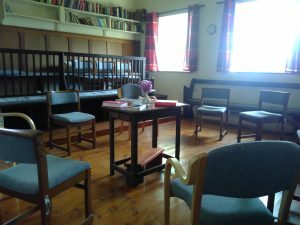 And all the PMG members have commitments to family and friends and other Quaker work. So it is surprising that in their busy lives they have already started planning events for next year! 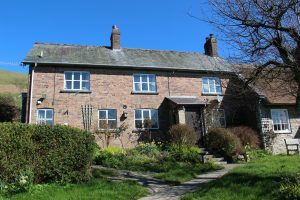 In April 2019 we have a Poetry Day with Trish Munn and Linda Murray-Hale. 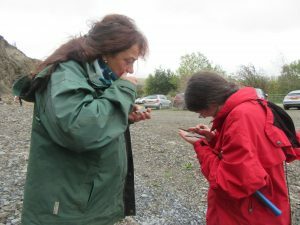 In May an Ecology Day with our own entomologist Jeff Beatty. 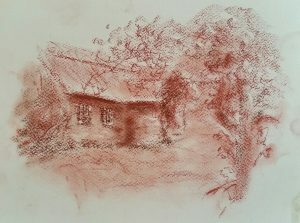 This year we ran a very successful Art Day with Sandy Craig and she has agreed to come back in 2019 to run a short course over three Wednesdays in June. Dates for all these events will be announced here. On 21 September the Pales Peace choir will hold a singing day, which will be open to all who would like to join in and discover their voices. So it looks like another exciting year!